Are you a mobile food truck vendor? Rent us as your mobile food vendor commissary kitchen! We can help you become more profitable...faster! Rearranged parking and different traffic flow are the most obvious changes to the Farmer's Market on Fulton in Grand Rapids, changes that will be unveiled with a ribbon cutting ceremony on May 5th. Graduation Parties, Wedding Showers, Baby Showers, Cooking Clubs...and much more! You do not need a license, insurance and food safety certification to use Facility Kitchens to cook for fun, not for resale. Just contact us for more information! Stepping up to a higher production volume is a critical step in your business success. We help you reach profitability at a higher level of food production, faster! We're hosting our April Pow Wow tonight at 6pm. Let's talk about your food business! Everyone welcome! 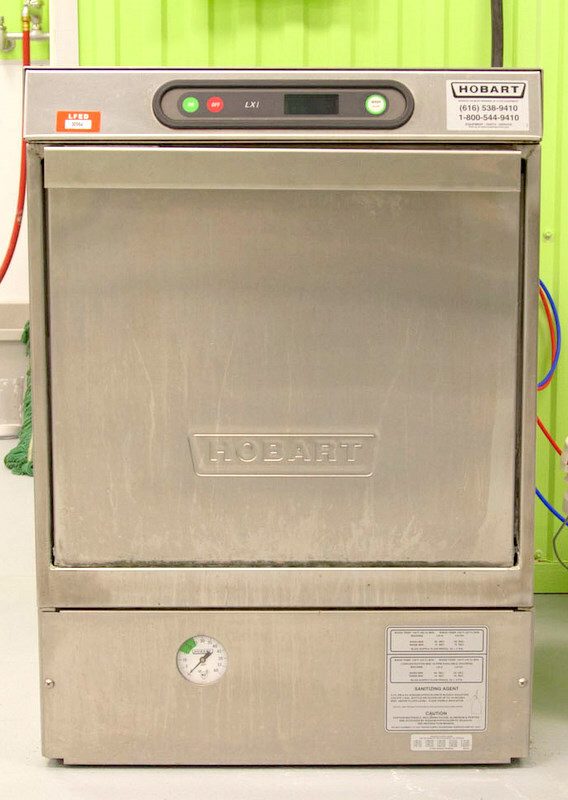 We have recently added a sanitizer to the equipment available in Facility Kitchens. This machine sanitizes glass containers before filling. It will help speed up your process of production. Come to our Pow Wow, April 19th at 6pm, for an open talk about starting a food business! Please remember our next Pow Wow is coming up! April 19, starting at 6:00pm. All are welcome! 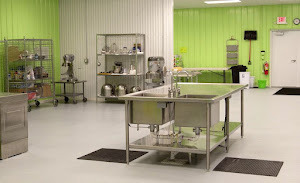 Great opportunity to make progress on starting your food business! We are all inclusive. All common overhead costs are included in your hourly rental rate. Linens and aprons, gas, water, electricity, cleaning, maintaining and restocking the bathroom, cleaning and restocking the ware washing and hand sinks, pest control, waste disposal, cleaning supplies, mop sinks and mops, sanitizing supplies, property insurance, personal property taxes, building repairs and maintenance, equipment repairs and maintenance, mowing and snowplowing, rent, hood and grease trap cleaning, and capital start up for the building and equipment. Magnanimous Salsa was licensed by the Michigan Department of Agriculture to produce their "shelf-stable" salsa in Facility Kitchens. We congratulate Magnanimous Salsa and wish their group success in building their salsa company. Magnanimous Salsa makes a HOT salsa. Don't forget our next Pow Wow is coming up, April 19th at 6pm. All are welcome! 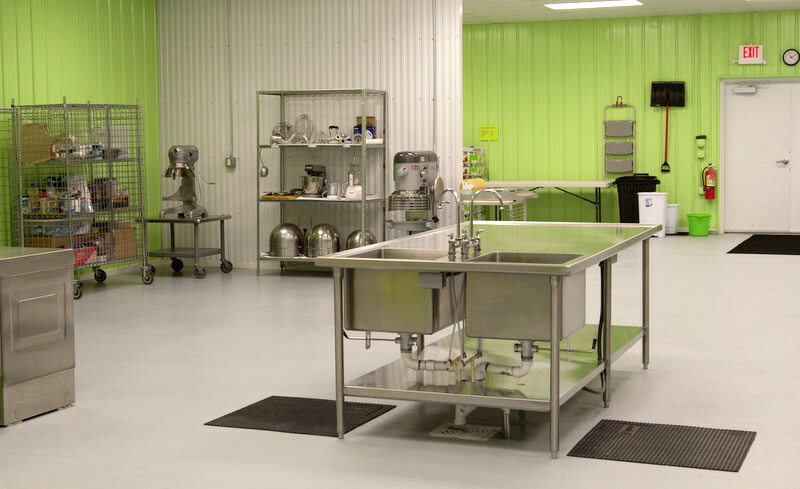 This is a great opportunity to make progress on starting your food business! We are located at 501 Ottawa, Lowell, MI 49331.